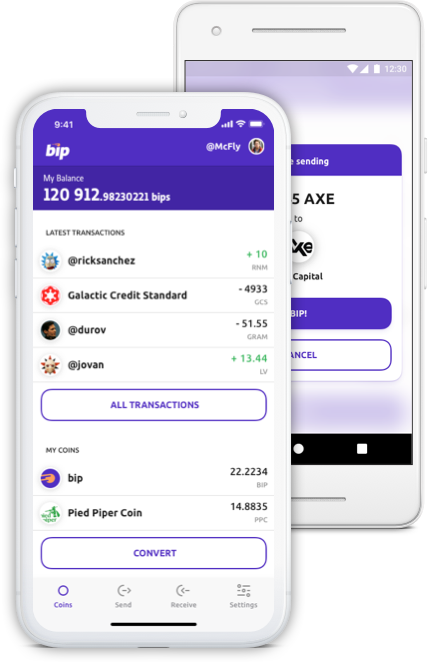 BIP is a next-generation cryptocurrency, which uses the greatest developments of recent years—instant transfers on any devices with small transaction fees and no technical struggles. 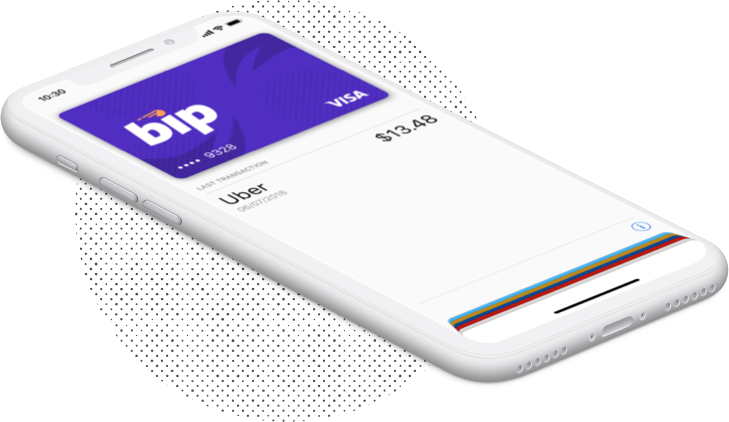 Our wallet lets you issue and use branded virtual plastic cards via Apple Pay and Android Pay. Convert bips and other coins in a matter of seconds into USD or EUR. Subject to availabiity depending on the country of residence. Anyone would understand how to use it. We keep all complicated stuff out of your sight so that it doesn’t bother you. BIP uses a regular systemof names that are easy to remember and write down. Once you have pressed the Send button, the amount will be deposited to a receiver’s account in a matter of seconds. Security is provided by a blockchain. You have complete control over your funds. There is no access system more universal than our bip.to. You receive the full functionality on all of your devices! All you need is bip! Bip Wallet is a mApp (Minter App) running on the blockchain and using only open‑source software from the official GitHub of the Minter Team.